MDF is brand that has established itself as a producer of fine blood pressure monitoring and medical diagnostic equipment. MDF provides a number of tools, specifically sphygmomanometers, and accessories like cuffs and tubes. 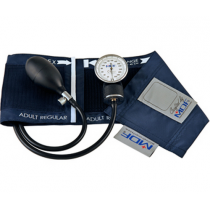 Vitality Medical hosts MDF products for sale as a resource for those who want the utmost in accuracy when it comes to finding diastolic and systolic blood pressure readings. With a basic understanding on how to use aneroid sphygmomanometers and how to manually get proper blood pressure readings, not only professionals, but home users will reap the benefits of the consistent accuracy these diagnostic tools deliver.